Switzerland is one of the famous mountainous Central European Country, which is home to numerous villages, lakes and the high peaks of the Alps. Positioned in Western-Central Europe it is bordered by Italy in the south, France in the west, Germany in the north, and Austria and Liechtenstein in the east. Geographically Switzerland is landlocked between the Alps, the Swiss Plateau and the Jura, covering an area of 41,285 km2. In terms of national performance, Switzerland holds the position at or near the top globally, including civil liberties, government transparency, economic competitiveness, quality of life, and human development. Geneva and Zurich have each been ranked among the top cities in the world in terms of quality of life, with the former ranked second globally. Switzerland conferences will be providing an excellent international forum for sharing knowledge and results in Emerging Technological Innovations in Sciences, Engineering, Technology and Management. 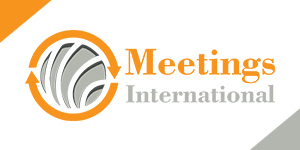 In 2018 Meetings International will be hosting 3 conferences in Switzerland. The openness of Switzerland’s to foreign trade and investment continues to motivate a vibrant and robust economy. With the impose of a comprehensive regulatory environment and nominal barriers to entrepreneurial growth, the economy of Switzerland is one of the most competitive and innovative in the world. Switzerland's economic remunerations come from a highly organized and developed service sector which are controlled by financial services, and a manufacturing industry that specializes in technology driven, knowledge-based production. The economic and political stability, ,exceptional infrastructure, transparent legal system, efficient capital markets, and low corporate tax rates of Switzerland makes it also one of the world's most competitive economies. The literacy rate of Switzerland is relatively high. Switzerland stands 9th out of 65 countries according to current survey. This reflects the importance of education among Swiss people and the determination of Swiss administration. The contribution of Switzerland towards global education is also immense. Switzerland is home to one of Europe’s most prestigious higher education systems, including continental Europe’s two highest entries in the QS World University Rankings® 2018 – ETH Zurich (Swiss Federal Institute of Technology) and Ecole Polytechnique Fédérale de Lausanne (EPFL) are both placed among the world’s top 15. Additional attractions to study in Switzerland come from the postcard-perfect beauty found throughout the nation, which is especially known for its magnificent Alpine mountains and dazzling lakes. With four official languages, it’s a true European melting pot, and consistently ranks among the world’s leaders on measures of quality of life. Swiss universities offer a wide range of courses of study at all levels (bachelor, master, doctorate) at different institutions of higher education (academic universities, universities of applied sciences, universities of teacher education) and in different languages (German, French, Italian, English). A country’s innovation performance is directly linked to the willingness of companies and academic centers to develop, implement, and share new ideas. Cutting-edge solutions are possible when governments set the right mix of legal environment and business incentives. Switzerland shows how to combine the best results in innovation with economic growth. Switzerland is very competitive in the field of research and innovation. It is also among the countries with the highest spending on R&D in relation to their gross domestic product. The private sector bears the cost of over two-thirds of Swiss R&D expenditure, which currently amounts to nearly 3 per cent of GDP, or around CHF 16 billion. Public research funding hinges mainly on the proactive work of researchers, the principle of competition and international cooperation. Switzerland has three international airports: Zurich-Kloten (ZRH), Geneva (GVA) and Basel-Mulhouse (BSL). The airports of Zurich and Geneva do have their own railway stations providing fast and frequent transfer into the very heart of downtown Zurich and Geneva and to all other major Swiss cities. The Euro-Airport Basel-Mulhouse is shared with the French city of Mulhouse and actually on French territory, but passengers may reach Basel on a short extraterritorial highway without formally entering France. Public Buses connect the airport with the central railway station / tramway hub. Switzerland's public transport system is known to be one of the finest in the world. A dense network of railroad, bus and tramaway lines and a systematic timetable allow to reach almost any point in the country once per hour. Science and technology in Switzerland plays an important role in economy as very few natural resources are available in the country. The Swiss National Science Foundation, mandated by the Federal government, is the most important institute promoting scientific research. With 57% of its researchers coming from other countries, Switzerland is the country with the world highest proportion of foreign researchers. However there are several significant Swiss contributors in the field of Architecture (Mario Botta, Peter Zumthor), Astronomy (Didier Queloz, Michel Mayor), Chemistry (Albert Hofmann, Jacques Dubochet), Geology (Jean-André Deluc, Louis Agassiz) and Life Science (Charles Bonnet, Horace-Bénédict de Saussure and Johann Büttikofer). Mount Pilatus in the Lake Lucerne region is full of legends: The 2,100 meter (7000 foot) peak offers views of the Swiss and French Alps, as well as Lake Lucerne below. Jet d'Eau: This giant water fountain is one of Geneva’s most famous landmarks. Shooting 140 meters (460 feet) into the air, the Jet d’Eau sits where Lake Geneva empties into the Rhone river, and is so large that it can be seen from miles away. Grindelwald: The mountain town of Grindelwald is the largest ski resort town in the Jungfrau region. This lovely alpine town is both a summer and winter activity region. Rhine Falls: Rhine falls, near Schaffausen, is Europe’s largest waterfall. This amazing sight can be reached via a boat tour, which will also show visitors to Switzerland the lovely basin, riverside castles, and spectacular boulder perched in the middle of the river at the top of the falls. Bernina Express: The Bernina Express is a brightly colored scarlet train that crosses the Alps beginning in the town of Chur and ends in Tirano, just across the border in northern Italy. Chapel Bridge: The Chapel Bridge is a 204 meter (670 foot) long bridge crossing the Reuss River in the city of Lucerne. Jungfraujoch: The Jungfraujoch is a col in the Bernese Alps accessible by railway, ending at Europe’s highest mountain station. Chateau de Chillon: Chillon Castle (Château de Chillon) is located on the shores of Lake Geneva. For over four centuries, the water castle was the main fortress that monitored water freight on the lake, and guarded the land route to St Bernhard Pass. Matterhorn: The famous Matterhorn is an iconic emblem of the Swiss Alps. Attend Meetings International conferences in Switzerland and get an opportunity to explore its attractions.